The ultimate guide to Paradiski ski holidays in 2019 & 2020. The legendary Paradiski is one of the biggest and best ski areas in the Alps and a definite bucket list ski and snowboard destination. Combining Les Arcs and La Plagne, the area boasts high altitude snow including tree-lined skiing, breathtaking off piste and wonderful learner areas. The Paradiski ski area is one of the largest in Europe, lying in the shadow of Mont Blanc, with skiable runs between 3250m and 1200m. 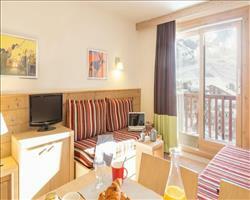 The ski area is made up of Les Arcs and La Plagne, both outstanding resorts in their own right. 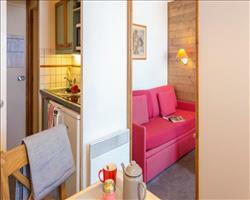 The smaller Peisey Vallandry completes the set. 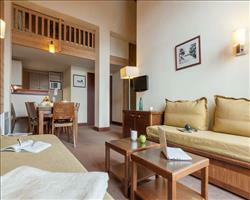 All three resorts have their own plus points, with a range of different places to stay, slopes to ski and things to do. 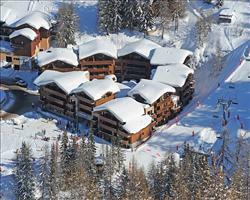 La Plagne is made up of 7 high altitude villages and 4 smaller ones. It has skiing in every direction so whatever time of year you come you can find a slope with the conditions to suit you. Les Arcs is made up of predominantly north facing slopes ensuring that snow conditions are well preserved throughout the season. Most of the skiing in the area is above 2000m, meaning that even in the later months of the season there’s a good chance that you will still have great snow higher up. In terms of accommodation, both resorts offer pretty much everything you could ever want, from high end chalets to cheap self-catered apartments and hotels. Nightlife varies, depending on which village you choose. 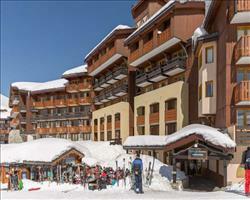 In La Plagne, Plange-Centre is the best place for shopping and head to Belleplagne for some great nightlife. 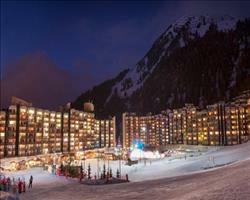 In Les Arcs, Arc 1800 is the place to go if you want to party all night long! Obviously, with such brilliant array of runs, the Paradiski is incredible for all levels of skiers and snowboarders, but if you aren’t massive on either, fear not, there’s plenty to do off the mountain as well, like Ski Joering in Les Arcs and the fantastic Olympic bobsleigh run in La Plagne. This is a vast ski area, make no mistake! There are brilliant runs for everyone to learn, improve and enjoy. 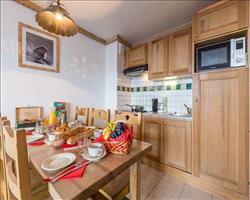 For beginners there are excellent learner areas near Arc 1800 and the slopes around Belle Plagne are also superb. With the installation of magic carpets, (saving you the struggle of tackling button lifts), and designated quiet zones for beginners, learning to ski has never been easier. Intermediates have a true abundance of runs. 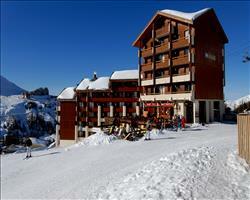 Peisey Vallandry is an excellent place to start, with plenty of well-groomed runs to start linking your turns again. The run to the village of Villaroger is also a superb run. 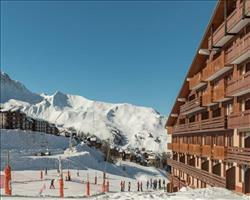 The La Plagne main bowl also offers plenty of wide motorway pistes that intermediate skiers will love. There’s tree lined skiing available as well, which is really exciting, just make sure you keep your head up! The off piste opportunities are endless and the high altitude of the Paradiski ski area ensures that powder snow is never too far away. The back of the Bellecote down to the Nancroix valley is a great place to make fresh tracks. If you are looking for a really challenging black run, try the 2000m descent from the La Plagne glacier all the way back down to Montchavin. Les Arcs is known as the “home of snowboarding” and because of the great lift system in the Paradiski, snowboarders won’t be faced with too many flat spots. The terrain has loads to offer, with lots of little jibs and hits as well as tree-lined skiing to keep you entertained. If you are a park rat, you won’t be disappointed with the Apocalypse Park in Les Arcs and the selection of terrain parks in La Plagne. There are plenty of unique things to do off the slopes. In terms of nightlife, the Paradiski doesn’t necessarily have the same reputation as the likes of Les Deux Alpes or the Espace Killy resorts - however if you know where to look, there’s plenty to keep you amped up! Plagne-Centre and Arc 1800 both have plenty of bars, check out Scottys bar in Plagne-Centre and La Mine in Plagne 1800 for cheap drinks and some great live music. In Arc 1800, Red Hot Saloon bar is the place to be, it usually has DJ’s or live music to please the crowds. While the après is fantastic, it’s the other events in the Paradiski that really brings the area to light. In Les Arcs you can try things like Ski-Joering, i.e getting towed behind a horse on Ski’s. 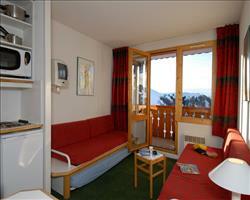 In La Plagne there’s the Olympic Bobsleigh run that is simply a fantastic experience. You can go down it with the assistance of a professional driver that will get you travelling at speeds of up to 120km/hr! Both resorts also have excellent walking areas for non-skiers and other modern resort amenities, such as ice rinks and swimming pools. There’s no doubt that you are going to work up a serious appetite by the end of a full days skiing and with an incredible range of international cuisine and traditional Savoyard food to choose from you won’t be disappointed. 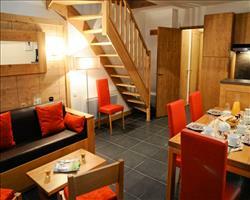 Chalet de L’Arcelle is the pick of the bunch in Les Arcs, serving some beautiful a la carte cuisine. La Plagne has over 90 restaurants to choose from, Chalet des Verdons Sud is highly recommended for some traditional food with a modern twist. 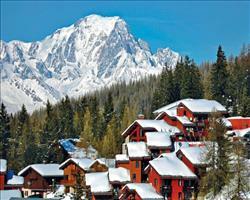 When is the best time to ski Paradiski? The great thing about the ski area is that with 70% of the ski area over 2000m and an impressive 3 peaks being over 3000m including 2 glaciers, snow conditions are excellently preserved throughout the ski season – you can even ski in the summer here. Further bolstering this, the ski area has over 600 snow cannons that cover 228 hectares if any more snow is needed and because there are slopes facing N S E and W, you will be able to find some great conditions whatever time of year you come. Look for south facing terrain in the early season to make the most of the sunshine and ski the north facing terrain later on in the season – as this is where the snow will be best preserved. 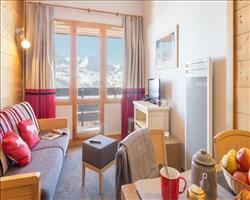 If you want the best snow, book a holiday during the months of January and February. 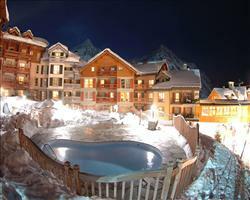 Christmas in the Paradiski resorts never fails to deliver. Try anything from bobsleighing to ski-joering for a truly memorable experience. Look out for the fantastic Christmas menus in hotels and restaurants and make sure you head to the slopes for the torchlit displays and fireworks that light up the resorts by night, not to mention the special visit from Pere Noel for the kids! If you want to party in the new year in paradise then look no further! Check out the bars in Arc 1800 and Plagne Centre and toast in the New Year in style after the spectacular firework displays in both resorts - just make sure you get enough sleep to take advantage of the vast ski area on your doorstep! There are loads of activities in Paradiski’s family friendly resorts during half term that will leave a smile on everyone’s faces. Check out the swimming pools and ice rinks for great family fun and make sure you take advantage of the excellent ski schools in of the best times of the year for snow conditions. Make sure you get stuck in with Easter egg hunts and plenty of other fun activities in both resorts, but also make the most of the fantastic ski area. With slopes facing N S E and W and brilliantly high altitudes, you’re almost guaranteed to find some great fresh snow at Easter. We know how tricky it can seem to book a family ski holiday that keeps everyone happy, which is why we’ve selected our best Paradiski holidays for families below. Both of our Paradiski resorts cater excellently for children, with brilliant childcare options, ski schools and activities indoors and out for everyone from tiddlers to teens. Les Arcs has been awarded the prestigious Famille Plus Montagne label, recognising its excellence for family holidays and La Plagne is fantastically family-orientated too – so you can rest assured you’ve picked a brilliant place that the whole family will thoroughly enjoy! When it comes to picking the perfect accommodation for your clan, there are lots of options. Choose a hotel or catered chalet where the cooking is all done for you so you can enjoy some quality family time or opt for our money saving, self-catered apartments where everyone’s needs are catered for by those that knows them best. If you’re travelling with little ‘uns that are too young to ski, ask us about our hotels with childcare services where they’ll be looked after in expert hands while you enjoy the slopes. 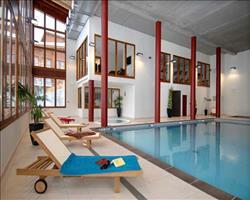 We also have hotels with children's entertainment and children's clubs that could be just what you’re looking for. Paradiski is a brilliant destination for group holidays – with varied terrain for all ages and stages of skier and ‘boarder and non-skiers catered for excellently, there really is something here for everyone. 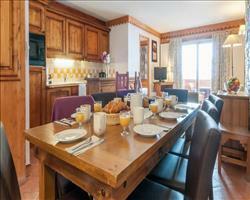 If you’re looking for somewhere with good après, the Paradiski resorts won’t disappoint - groups wanting somewhere to stay near the party scene should look up our accommodation in Plagne Centre and Arc 1800. Our ski in-ski out accommodation is ideal if you want to get straight onto the slopes every morning – check out our hotels, chalets and apartments with doorstep skiing and close proximity to the ski lifts. 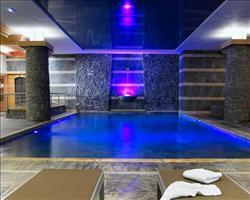 We also have some higher-end options if your party fancy a ski holiday with added luxuries – book a superior chalet, 5 star hotel or luxury apartment and enjoy wellness facilities and premium amenities. 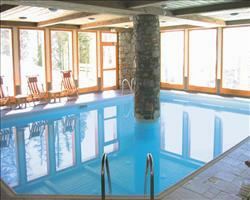 We have a brilliant range of group friendly chalets, hotels and apartments in La Plagne and Les Arcs. With chalets of all shapes and sizes in both resorts, you can find one to suit your group size, budget and preferences – try and match the number of rooms to your group size so you can enjoy sole occupancy and avoid paying supplements. 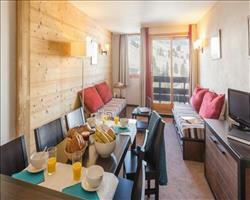 Big hotels like Hotel Altitude in Arc 2000 and Club Med in La Plagne are great if a bunch of you want to stay in a hotel and think other’s might want to join the group later on in the process. For a budget group ski holiday, book one of our group-friendly apartments – everyone can muck in with the self-catering each night and you can all enjoy quality time in your own accommodation.